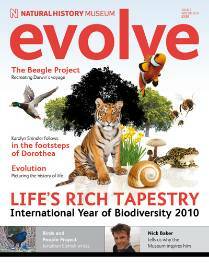 This month the second issue of Evolve, the Museum’s new full-colour magazine, hits the shelves. It’s now on sale (£3.50) in the Museum shop and online, where you can also subscribe to it annually. 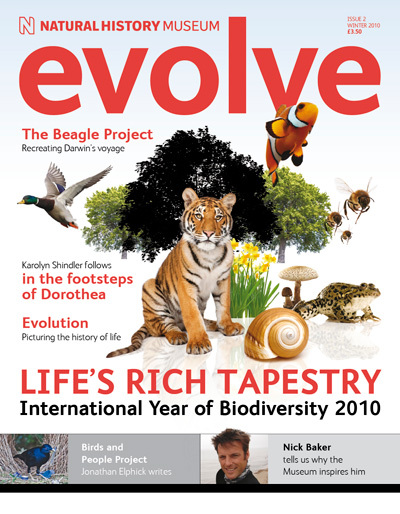 The first issue of Evolve came out in October 2009 when it evolved from Nature First, the Museum’s Members-only magazine, and doubled its size to 72 pages. The extended format allows scope for bigger, more wide-ranging features, and more regulars updates about Museum events and our Wildlife Garden, science in the field, and the Forgotten Naturalists series. 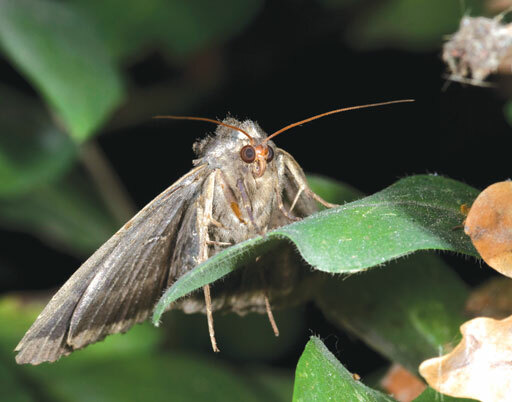 It's also packed with colour photos (like the one opposite of an old lady moth from our gardens outside). Museum Members still receive Evolve free as part of their benefits package. So how’s the new magazine doing? 'It’s fast becoming a hit. I received a really positive welcome for Evolve’s first issue, with sales well above our projected figures. Letters and comments flooded in. ‘Readers said they really enjoyed the amazing photography and variety of content. In particular, Philip Hoare’s feature on the whales of London received much praise, as did the article we ran on how research into the brain size of dwarfed mammals is helping us to understand more about a recent species of human discovered in 2003. Each issue takes around 4 months from commissioning articles to final design. Evolve is actually designed in-house by Steve Long in the Museum’s Design Studio (who many Museum staff will know). Issue 2 (right) highlights include a kick-off to the 2010 International Year of Biodiversity with a feature about the rich tapestry of life around us, why it is so important and ways to join in. And an exclusive piece from the science writer and author of Evolution, Douglas Palmer, about how illustrating the fossil past helps us picture the history of life. It features wonderful images from the book's artist, Peter Barrett. the Natural History Museum,’ says Helen. One of my favourite pieces in the new issue is the article about 'Birds and people' by natural history writer and ornithologist, Jonathan Elphick. It’s a fascinating cultural look at the many ways birds affect and enrich our lives and art, with some extraordinary photos. For bird lovers, there’s a Birds and people project you can get involved in. 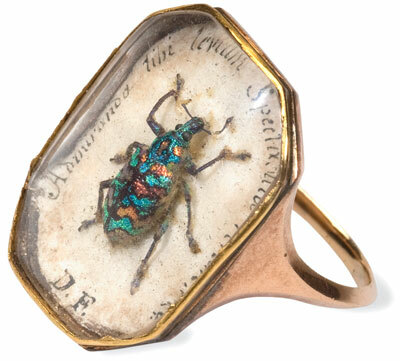 In another excellent piece, I discovered how wonderful weevils could be (200 years ago someone even set one in a gold ring) and how to spot these beaky beetles. Get hold of a copy of the new Evolve if you haven’t yet. Helen and her team also put together our quarterly children’s magazine, Second Nature for Members.